Knouse Foods - Colortech, Inc.
Donovan Connective Marketing worked with their client, Knouse Foods. 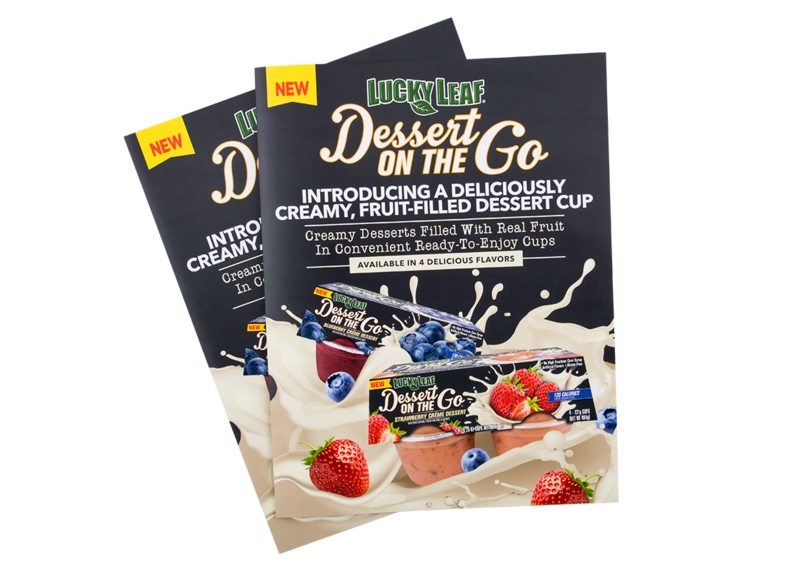 Knouse Foods needed a simple way to promote their new Lucky Leaf “Toppers” to distributors across the US and needed brochures to get out to prospects as soon as possible. We were able to print 1,000 and get them where they needed to be in less than one week. The final 4-page brochure was just the marketing tool they were looking for.